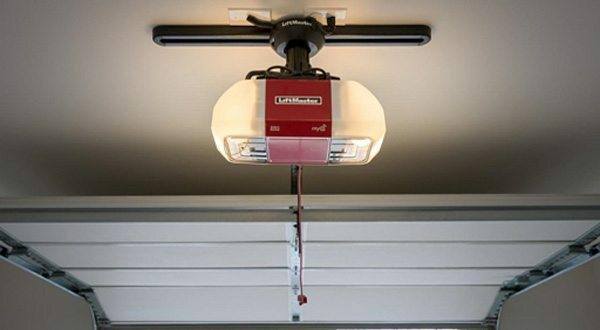 Keeping your garage door opener properly maintained will help to ensure it’s functionality throughout it’s lifetime. Like any moving part of your home, there will naturally be a time that your garage door opener will need a repair or to be replaced. Our priority is making sure that all work is done correctly, and safely. As governmental safety regulations are updated, we continuously train our technicians so they are up to date with industry standards. We cover Shelby county and DeSoto county, including Memphis, Germantown, Southaven, Hornlake, Bartlett, Collierville, Arlington, Lakeland, Millington, Oakland, Somerville, Hernando, Olive Branch, Byhalia, Cordova, Whitehaven and just about anywhere else in between! The brands we service include (but not limited to) LiftMaster, Chamberlain, Genie, Overhead Door, Craftsman, Linear, and more! According to a study on HomeAdvisor, the average reported cost for garage door opener repair was around $205. There are a number of factors that can affect the cost to repair or replace your garage door opener. The list goes on, but we have the experience and the know-how to get your operator repaired or get a shiny new one installed for you quick, fast, and in a hurry! We know your time is valuable and we work to make sure that you don’t lose out on that due to a garage door that just won’t open. We are proud to offer a 10% discount on services for Veterans, Senior Citizens, Government Employees, or those in the Medical Field. Sometimes a damaged garage door is repairable or only some components are needed to be replaced. Below are some of the more common issues we receive, but we can help with just about any issue you may be experiencing. Yearly preventative maintenance keeps expensive repairs occurring. We can help keep your door working so you can count on it day and night. Have you dreamed of turning your attached carport into a garage? We have the experience to do just that! When repair isn’t an option, or if you simply want to replace your existing door – we can do that too! Your business deserves the best, we offer a selection of commercial garage doors that not only make your business shine – but protect your investment as well. We also service and repair commercial garage door installations. From standard doors, to rolling steel, we have the experience to get your business back in working condition. We build and install custom gates! With remote activated openers to make your life easier. Call us to get your project started!